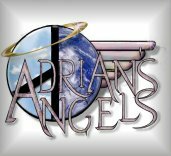 Interested in joining our "Adrian's Angels"
group..the best on the Web! Every Wednesday listen to Adrian Paul & Co-host Ethan Dettenmaier as they talk "Protect, Educate, Aid, Children, Everywhere!" 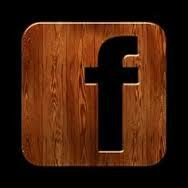 own web pages for you to enjoy! 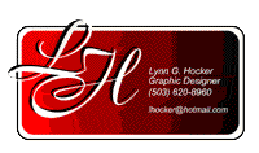 Lynn Hocker's artwork is not to be missed! Check out our Fan Art pages too! the Official Highlander Fan Club. It has an international focus with a commitment to celebrating Highlander and furthering fan enjoyment of it. For the ultimate breakdown of what is on the Highlander DVDs (Seasons 1-6) this is a must read place to visit. MacGeorge did the incredible work of detailing every word. Duran Duran video, "My Own Way"
historical romance! So join in the discussions. Check out Linda's (Foundling) FANtastic artwork! Have a page you'd like listed here? Special thanks to Gail, Em, Linda A and all others who submitted links to help this page! If you find any unusable links, please notify me ASAP! 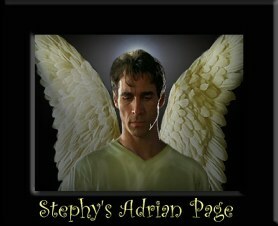 Interested in becoming a part of our"Adrian's Angels" E-group?